This post is part of a sponsored collaboration with Smithfield and DiMe Media. As always, all recipes and opinions are my own. 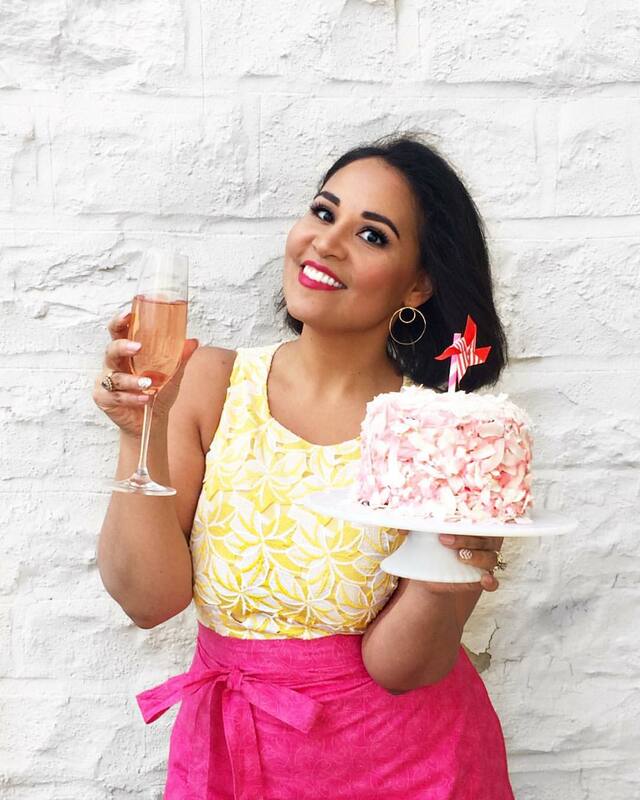 Thank you for supporting brands like Smithfield that make it possible for me to continue to provide you with new recipes and quality content! Ever since that fabulous all-pork dinner party I attended a couple weeks ago with Chef Jose Garces, I've been eager to start playing around with a few creative pork recipes of my own. I hope you guys love pork as much as I do, because I have several coming up over the coming months featuring the variety of cuts from Smithfield's line of Fresh Pork. 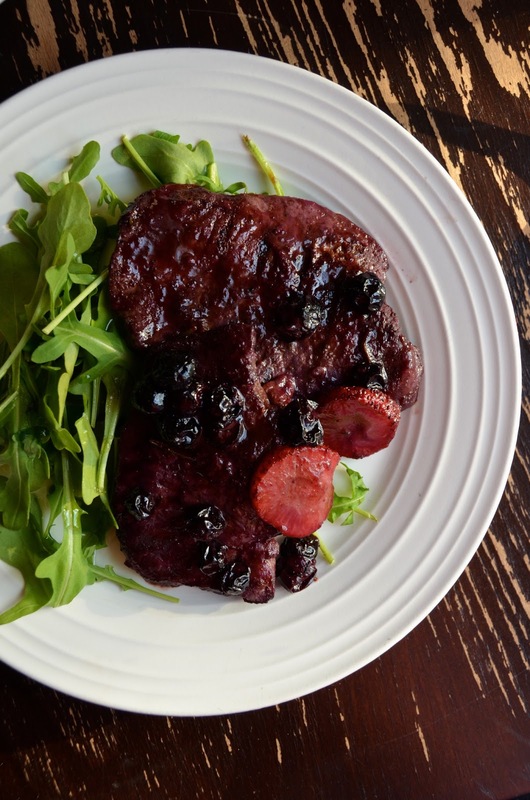 We're starting off with a dinnertime favorite--pork chops! So here's the thing about me and pork chops--they've long been my mom's favorite thing, which meant she made them ALL the time while we were growing up. So much so that I tired of them and pretty much stopped eating them once I went away to college. It was only in the past year or so that I realized that was a ridiculous move because pork chops are delicious. And SO easy to cook. Seriously, if you find yourself in a chicken cutlet dinner rut, get yourself some pork chops. They cook in roughly the same amount of time as chicken, yet have SO much more flavor. Pork chops come in a variety of options (boneless, bone-in, thin-cut, thick-cut, etc.). While cook times vary slightly between the thinner and thicker cuts, they're all pretty versatile and you can pretty much swap in whichever you prefer for this recipe. 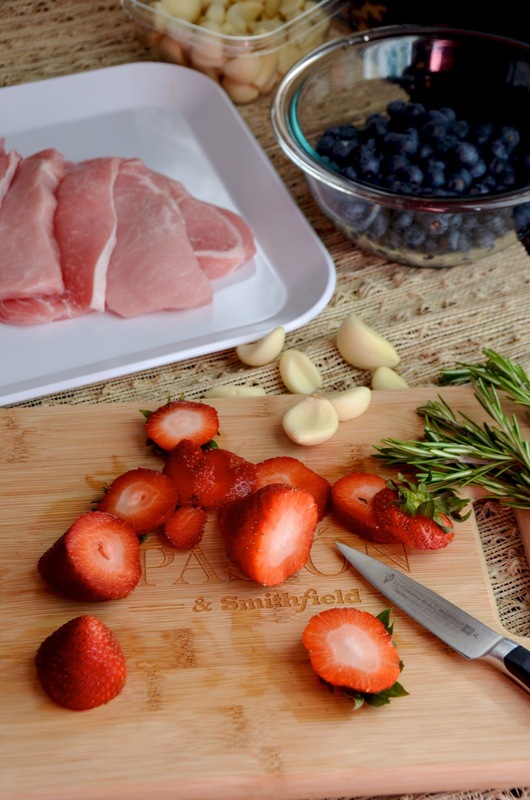 I chose Smithfield's boneless pork chops, which are beautifully hand-selected and trimmed into the perfect little portions that are really lovely to cook with. I like them just because they're a little quicker to work with, and definitely a great choice if you've got picky eaters who don't like bones. But go ahead and pick your favorite cut with confidence--all the Smithfield Fresh Pork cuts are great quality and will work beautifully in this dish. 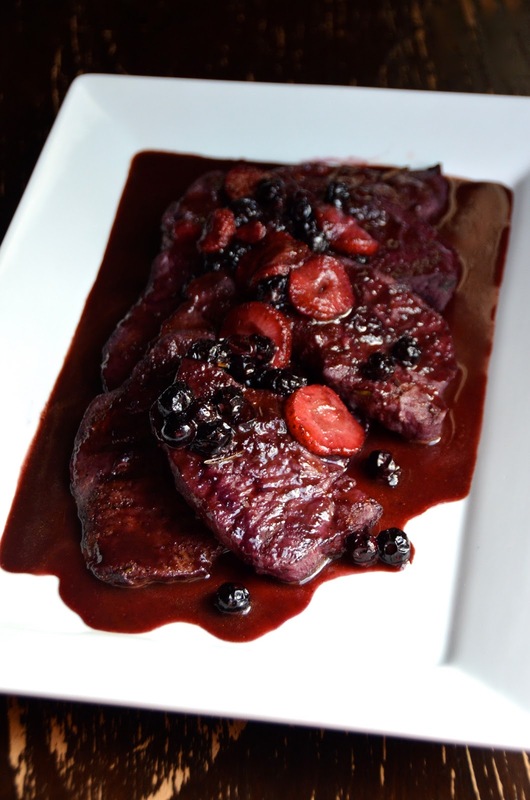 For this recipe, I'm celebrating all those fabulous summer berries and pairing garlicky marinated chops with a sweet and spicy fresh berry sauce. Everything comes together on the stove in less than 45 minutes, most of which is just the stove doing it's job, so you'll be free to take care of other things. I hope this recipe inspired you to get into the kitchen to create something delicious for your family and friends! 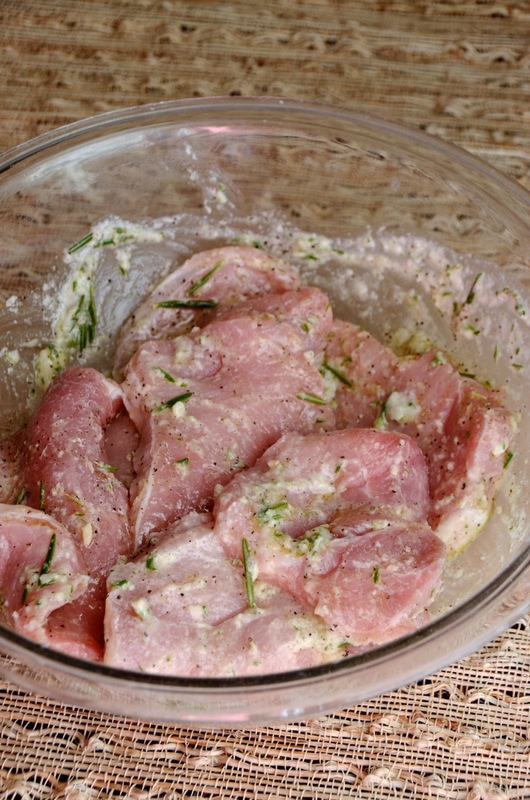 Pour the garlic marinade over the pork chops and mix well to evenly coat all the chops. Cover with plastic wrap and place in fridge for at least 30 minutes (can be done a day in advance). 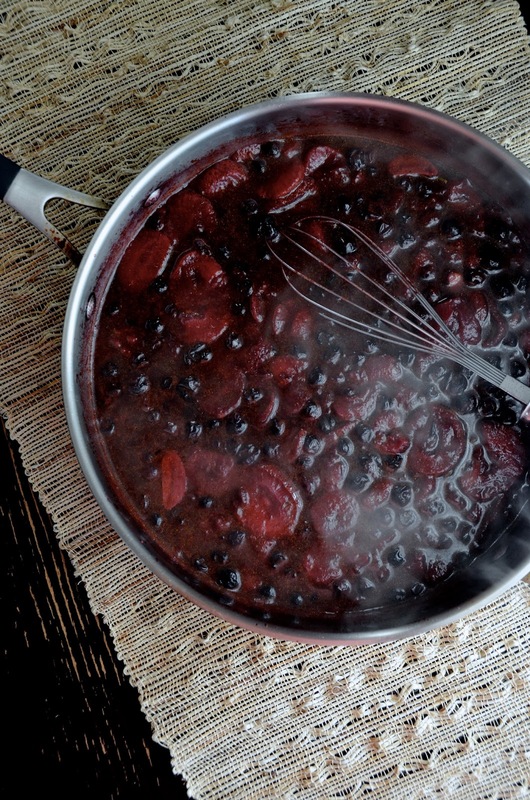 Make the sauce: In a large saucepan or deep skillet over high heat, combine the berries, chipotle, vinegar, honey, and garlic. Add water just until everything is covered. Bring to a boil, then reduce heat and let simmer, stirring occasionally, until sauce reduces and thickens. Cook the pork chops: Working in batches, heat a cast iron skillet or grill pan to high, and place pork chops in pan, cooking 1-2 minutes per side just until charred grill marks form (or browned if using a skillet). Nestle the browned pork chops in the simmering sauce and let cook on low for about 30 minutes, until tender. 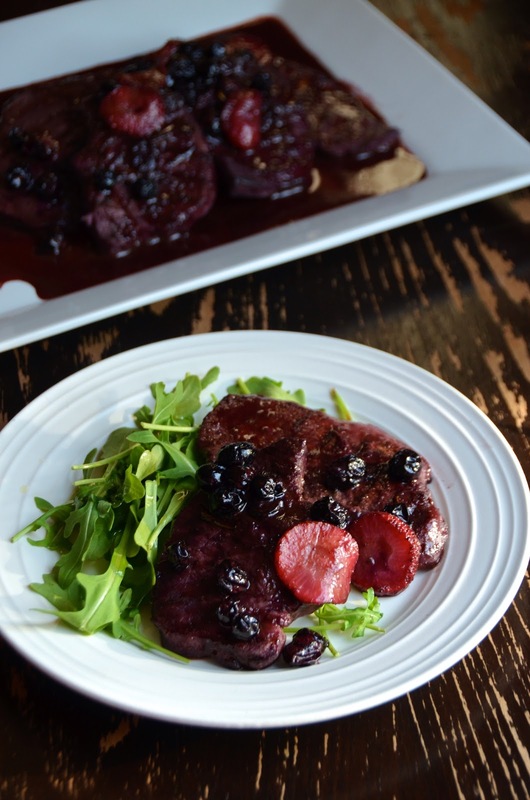 Serve with berry sauce spooned on top.